That is if she is approved. President Obama is reported to have decided, but yet to announce Loretta Lynch as his nominee for the post of US Attorney General following the resignation of Eric Holder last month. Loretta Lynch is currently a US Attorney serving for the second time in the Eastern District of New York in Brooklyn. Both times that Loretta Lynch was nominated as United States attorney - first by Bill Clinton in 1999 and by Obama in 2010, she has been confirmed in the Senate by acclamation meaning that the Republican party likes her, or at least does not see her as controversial. 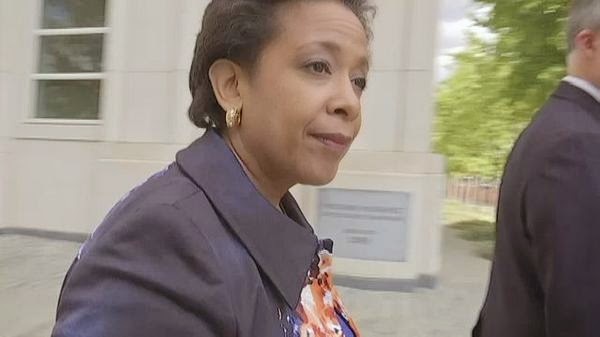 And yes, if Loretta Lynch is indeed President Obama's nomination and she is once more confirmed by Senate, she would be the first African-American woman to serve as the top law enforcement official in America. She would be the second woman, and the second African American.